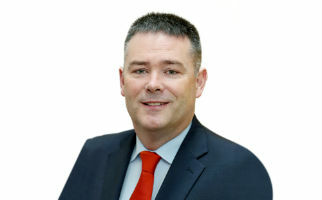 Michael Gubbins has been a member of An Garda Síochána for over 28 years and has been engaged in the area of computer forensics and cybercrime investigation since 1997 when he was first assigned to the Computer Crime Investigation Unit where he has worked as a Detective Garda, Detective Sergeant and Detective Inspector. Michael is now the Detective Superintendent in charge of the Garda National Cyber Crime Bureau. Michael represents an Garda Síochána on various Europol & European Cybercrime Centre (EC3) fora including the European Computer Training and Education Group (ECTEG), European Multidisciplinary Platform against Criminal Threats (EMPACT) and the European Union Cybercrime Task Force (EUCTF) of which he is the Vice-Chair. Michael holds a Masters in Forensic Computing & Cybercrime Investigation (MSc FCCI) from University College Dublin and also has a Postgraduate Diploma in “Serious Crime Investigation” from the University of Limerick.